Healthgrades is the primary resource for people looking for qualified, experienced healthcare professionals. With a Healthgrades Enhanced Profile from Sesame, your practice will enjoy featured placement in searches for a new dental care professional in your area. Priority listing placement in the definitive online source for assessing healthcare professionals. Give your practice the advantage of priority placement in the definitive online source for assessing healthcare professionals. More than 20 million visitors use Healthgrades.com every month to find a healthcare provider. With a Healthgrades Enhanced Profile, you can boost your practice profile ranking in Healthgrades search results for your local area. 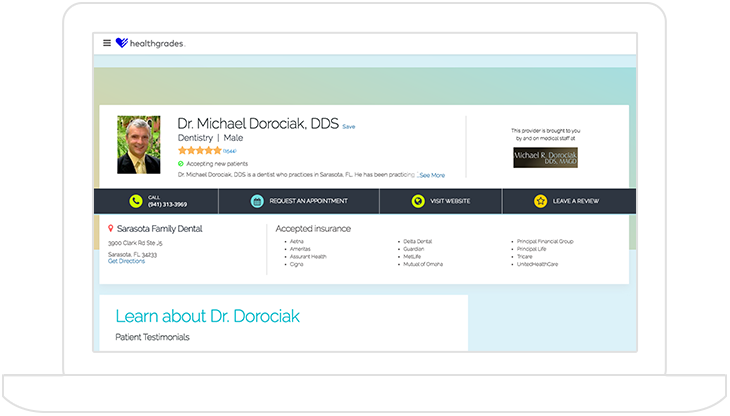 As an added bonus, a Healthgrades Enhanced Profile will help boost your practice website's SEO. 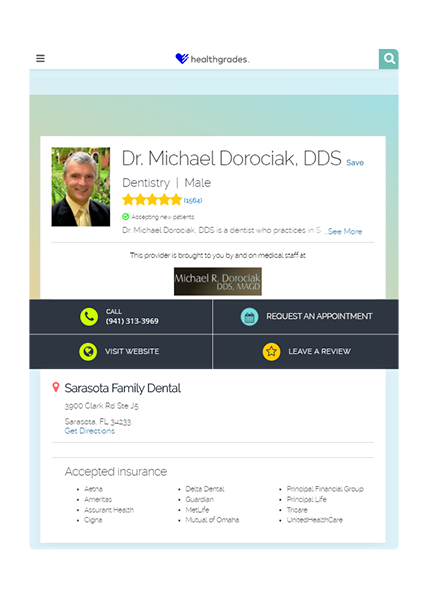 Your branded Healthgrades profile includes your biography, service details, directions to your practice, and contact information. Prospective patients will be able to view your photograph, education and credentials, dental or orthodontic care philosophy, specialty services and procedures offered, languages spoken, and accepted insurance. Entice patients to choose your practice over your competitors with one-click appointment requests, sent directly from your Healthgrades profile. 54% of Healthgrades visitors schedule an appointment with a doctor, and most do so within seven days. Why not make it easy for them? 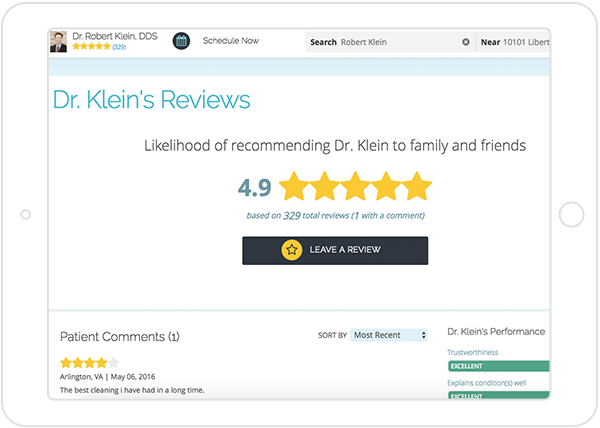 One-click appointment requests through Healthgrades is the best way to encourage new patients to choose your practice over your competition. Reviews by current patients reveal valuable insights and recent experiences, which help prospective patients make better-informed decisions about their healthcare. 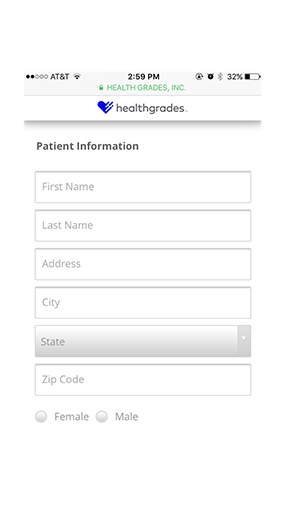 And when you use Ortho Sesame as your patient engagement solution, your post-appointment surveys are automatically published to your Healthgrades Enhanced Profile within 48 hours of submission.